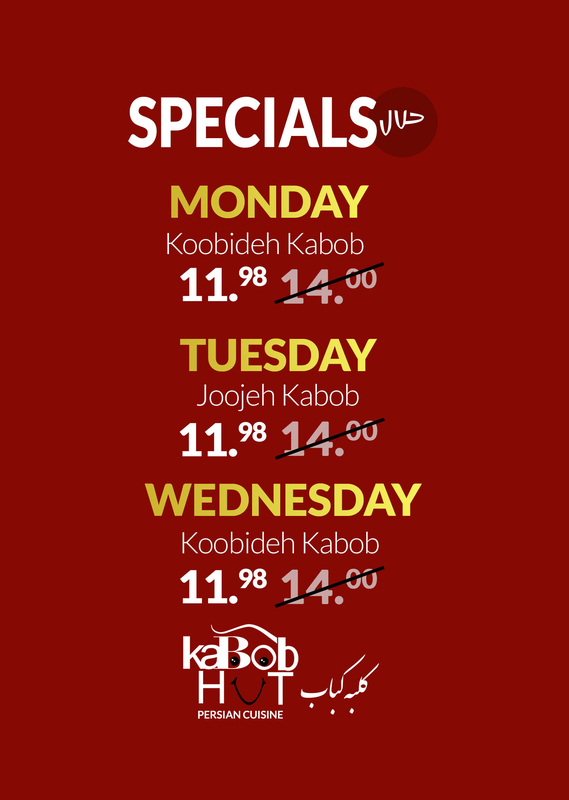 Kabob Hut is a family run restaurant founded in 2010. 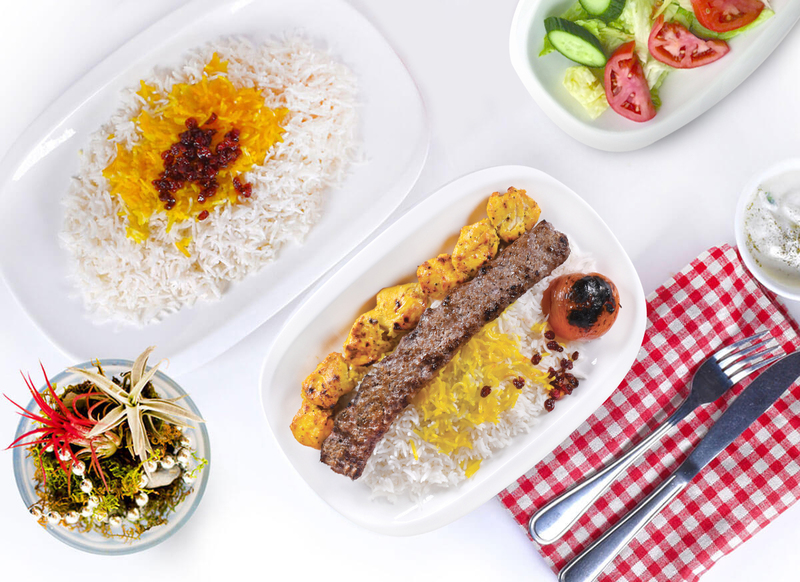 We offer authentic Persian style food that tastes just like it was made at home. 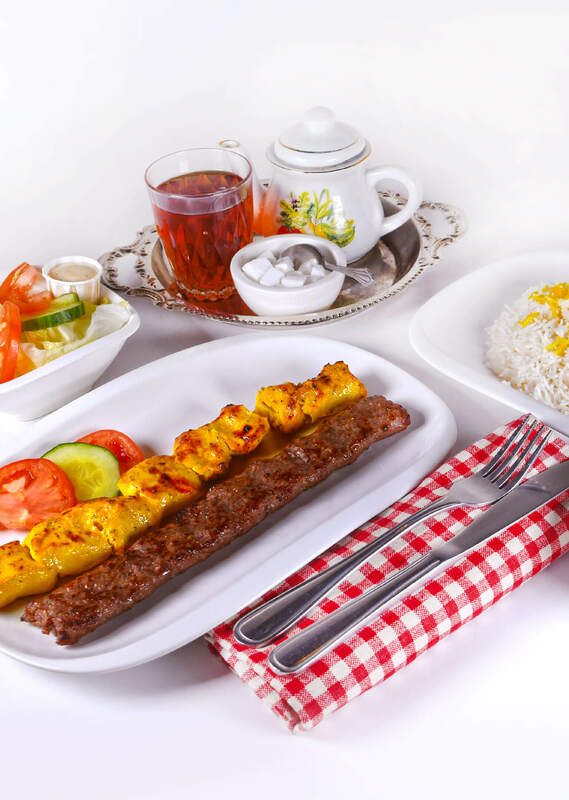 We assure this homemade style of cuisine by serving our food fresh daily. 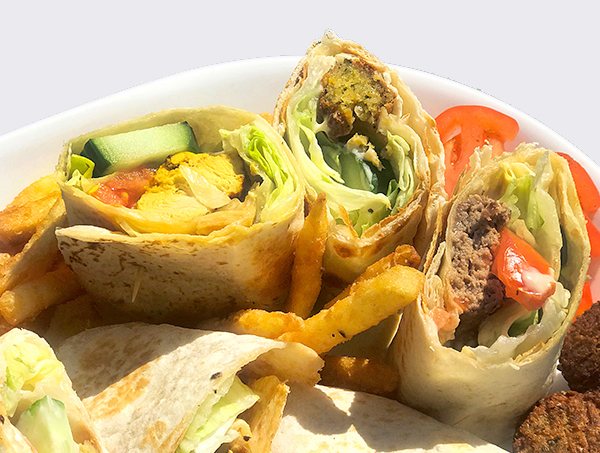 We offer a variety of Kabobs, wraps, stews and dishes. All of which are the highest quality. 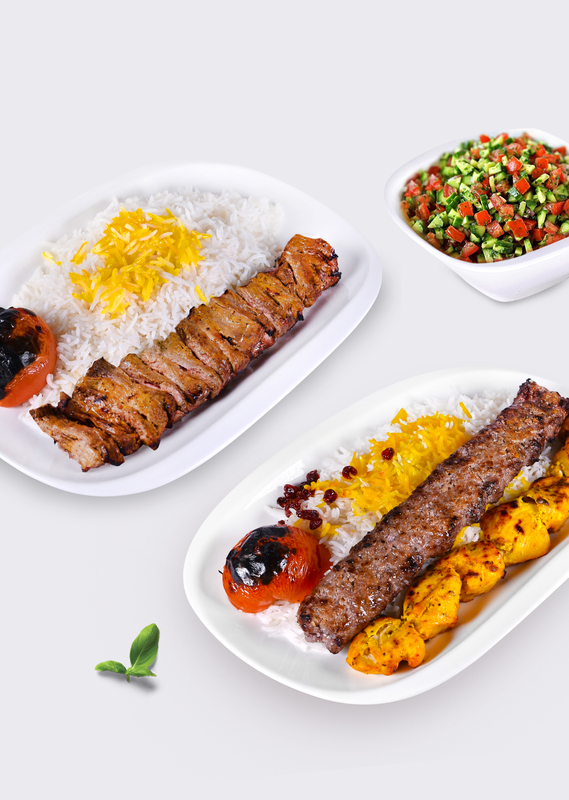 Our guarantee is why we always serve our premium Basmati rice with all Kabob dishes and Hut dishes. The rice simply melts in your mouth. 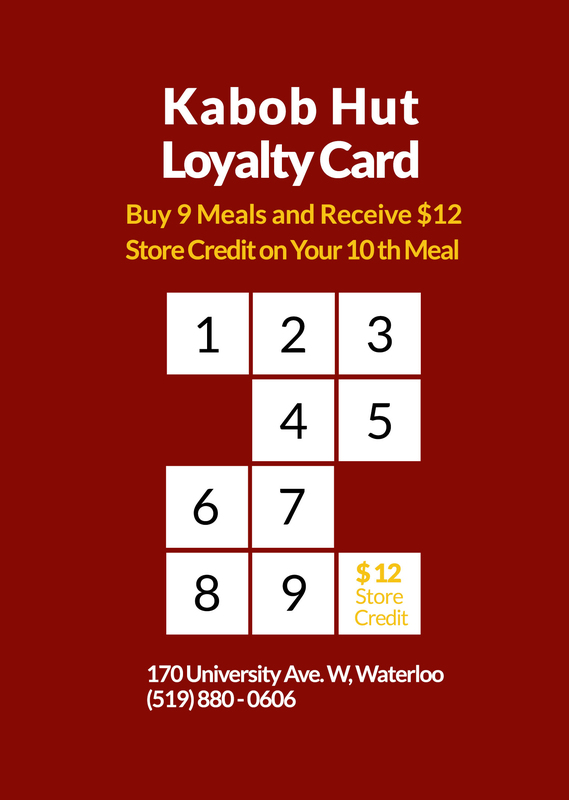 It's the rice our customers can't get enough of because they asked for more, and we listened. 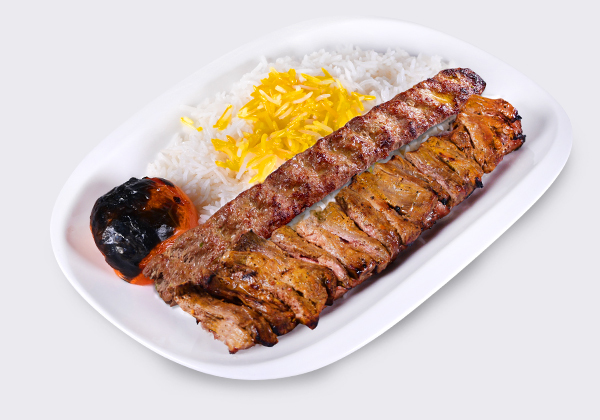 The rice is piled high on your plate, ensuring you won't leave the Kabob Hut hungry. It is the perfect quantity. Our welcoming service will draw you into our home-like atmosphere. This is reinforced with our lighting that creates unique patterns on the wall. Various paintings are also mounted on the wall for your viewing pleasure. Authentic Stew, Made with Fresh Beef Slow Cooked to Perfection with Parsley, Coriander, Spinach, Leeks, Fenugreek, Red Beans, Persian Lime, and Turmeric. 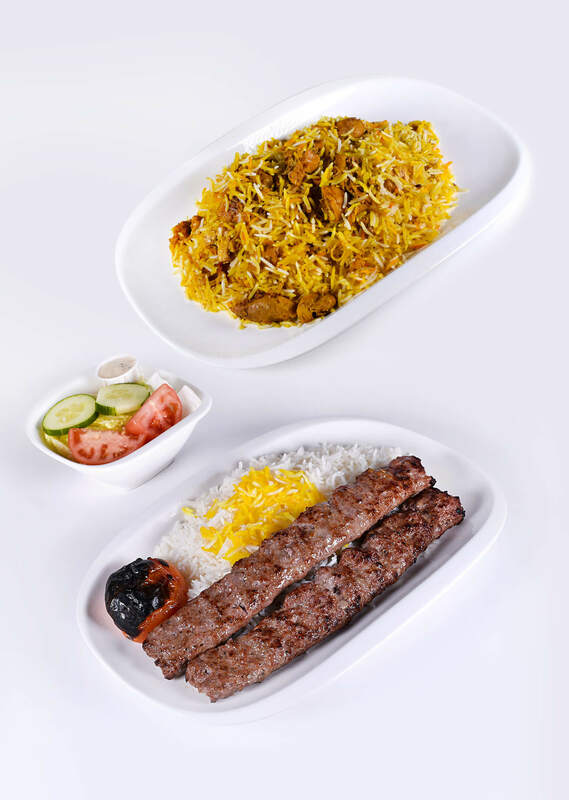 Served with Saffron Basmati Rice and Your Choice of Fresh Garden Salad, French Fries or Full Rice. Delicious Butter Chicken Dish Made with Fresh Boneless Chicken, Slow Cooked in Fresh Ginger, Garlic, Lemon, Indian Spices, and Creamy Butter Served with Two Choices of Rice, Fresh Garden Salad, French Fries or Naan. 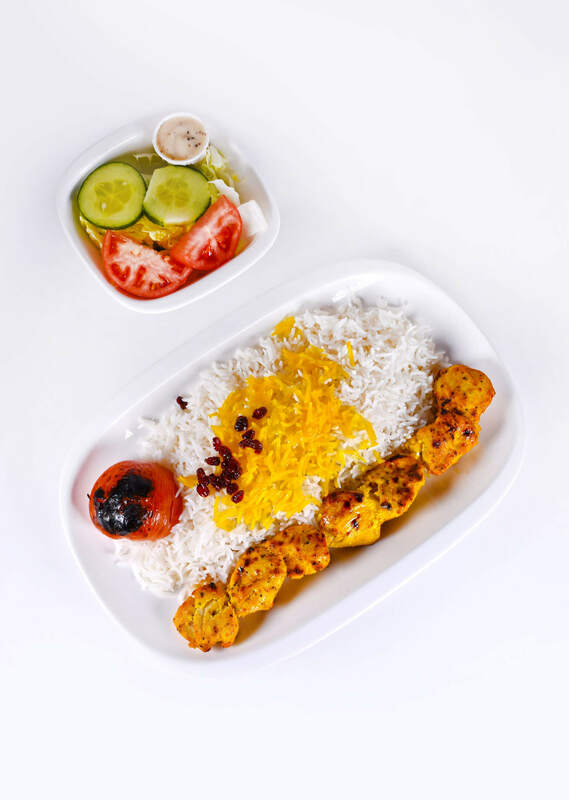 Persian Treasure Made with a Fresh Chicken Leg, Slow Cooked to Perfection in Tomato Puree, Fresh Garlic, Onions, Turmeric, Saffron, and Sweet Zereshk Barberries. 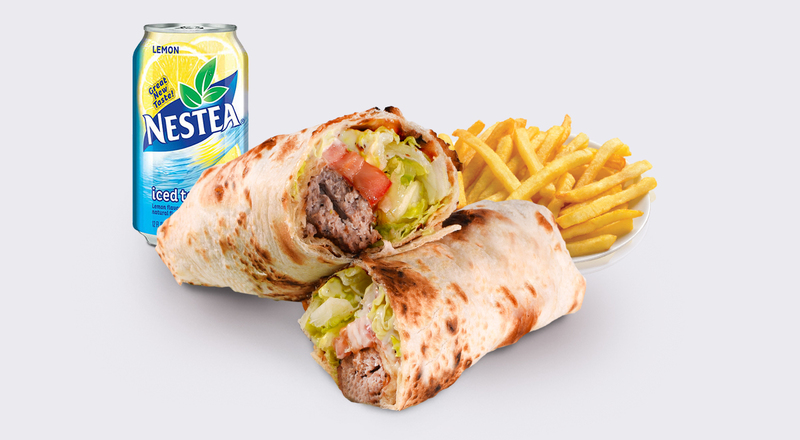 Served with Saffron Basmati Rice and Your Choice of Fresh Garden Salad, French Fries or Full Rice. Traditional Stew Made with Fresh Beef, Slow Cooked to Perfection with Yellow Split Peas, Tomato Puree, Persian Lime, Cinnamon, Turmeric, Topped with Potato Sticks. 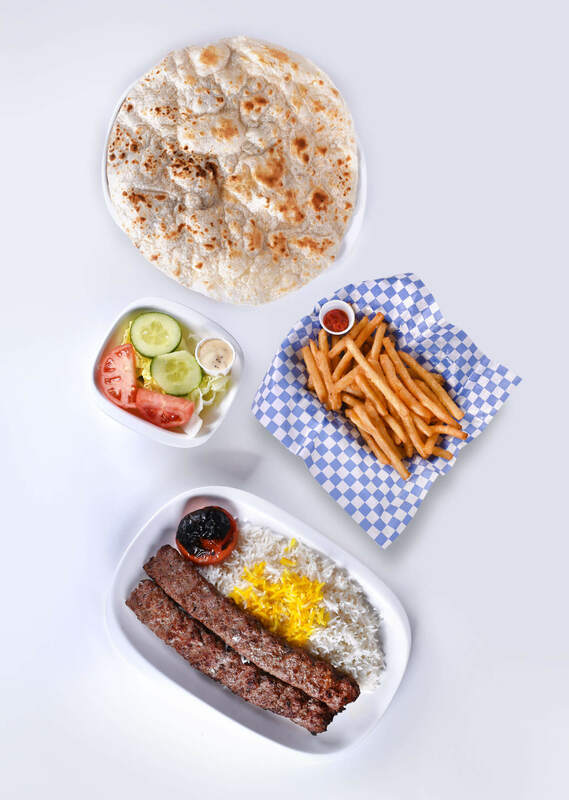 Served with Saffron Basmati Rice and Your Choice of Fresh Garden Salad, French Fries or Full Rice. 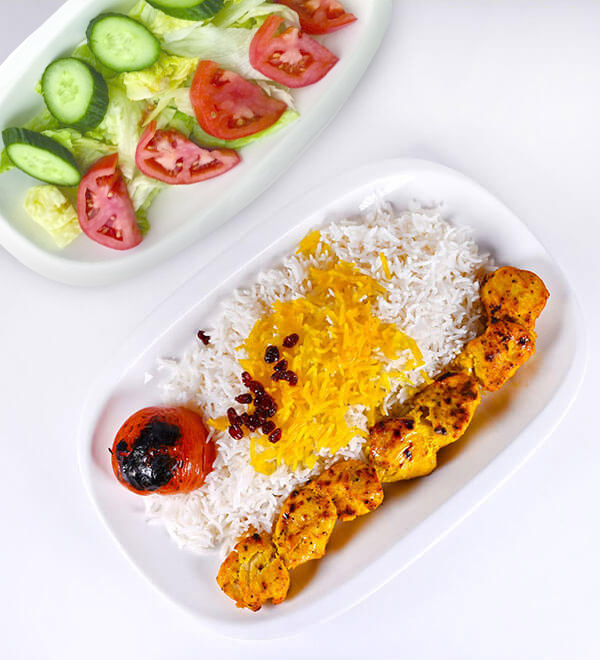 Aromatic Dish Made with Saffron Basmati Rice, Layered with Fresh Boneless Chicken , Fresh Ginger, Yogurt, Tomato, and Indian Spices. and Your Choice of Fresh Garden Salad, French Fries or Full Rice.